Your employees are your greatest asset, as well as the biggest line item in your budget. The company that can hire motivated and highly productive workers will have a clear edge on the competition; however, not every employee can put 110 per cent into your company. A 2014 survey by Salary.com found that 89 per cent of respondents admitted to being unproductive at work every day. Of those, 50 per cent confessed to not being completely productive from one to three hours a day. Wasting three hours a day at works means that your least productive employees might as well be taking an entire week of vacation each month! How do you encourage your employees to “be all they can be” without creating stress in the process? There is a fine balance between encouraging your employees to reach their true potential and driving up their stress levels. Here’s how you can achieve the former and avoid the latter. 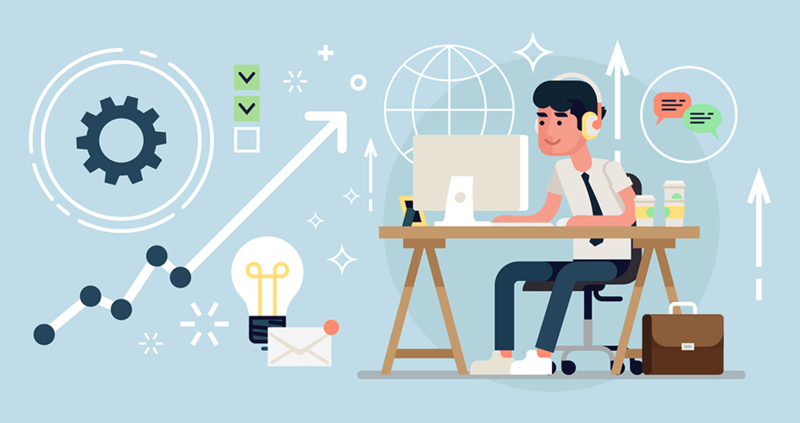 Even your best employees won’t get as much done if they are in a loud, chaotic office; if their schedules have more meetings than Swiss cheese has holes; or if they are forced to work off of a glitchy Excel form while the competition uses a sleek CRM system. Your first job as a company leader is to create an environment that allows your employees to thrive. A survey of over 5,000 human resources professionals and full-time employees by CareerBuilder.com found that 24 per cent of respondents named noisy coworkers as one of their “primary productivity stoppers in the workplace.” Close behind was meetings, listed as a primary work stopper by 23 per cent of respondents. Consider how you can create a better work environment for success. Maybe that means cutting unnecessary meetings or allowing your employees to work from home where they won’t be interrupted by coworkers. Make sure you also equip your employees with the right tools to be productive. 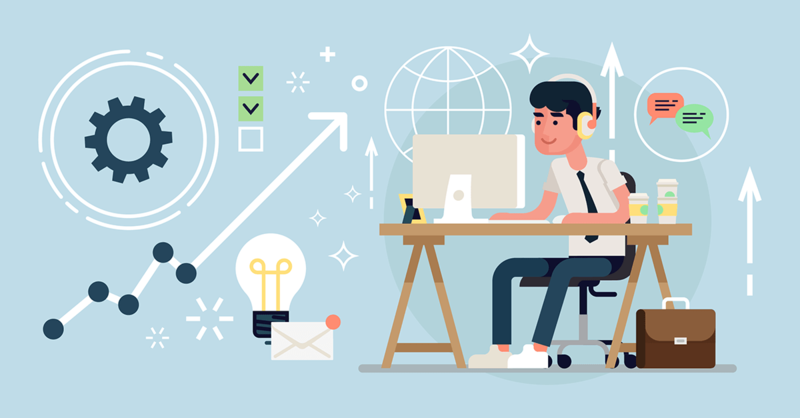 Now is the time to invest in a robust CRM for your sales team, an integrated marketing platform for your marketing team, and any other programs that can help team members observe trends, stay better organized, and pull the data they need to take action. A company culture focused on results must also be tempered with a strong commitment to integrity. Push your employees to achieve, but don’t push them too hard, or they could go cartwheeling off the ethical high ground. Your employees can’t possibly know how to meet and exceed your expectations if you don’t give them a target. Likewise, you won’t be able to measure your team’s productivity if you don’t have quantitative data to compare. Set goals for your employees to help them understand your expectations. Consider working in concert with each of your employees to identify useful and reachable targets that maximize their contributions and support their personal strengths. In this way, you allow the employee not only to participate in the trajectory of their careers, but also to take ownership of the goals you set together. Now that you’ve established clear, personalized goals with each of your employees, you can assess how well each team member is performing. This will allow you to support your high-performing superstars and to quickly see which employees need coaching and assistance. Most employees are not lazy or dishonest: If they fail to meet their goals, it may be because they don’t have the knowledge they need to perform their job. They may also simply be bored in their current positions. Both of these issues can be fixed. Consider inviting the employee to review their productivity data with you and then challenge them to propose a solution that will help them accomplish their goals in the office. Again, by encouraging employees to take control of their careers, they can give you the solutions that they need and take more ownership of their performances. With a few small fixes, you can quickly turn underperforming team members into superstars—instead of waiting to give them a performance review at the end of the year. No one likes a micromanager, and you probably don’t want to be one. Instead, consider offering your employees a bold management strategy to increase productivity—autonomy. Give your employees clear goals to reach, the training and tools needed to reach them—and then get out of the way. Employees who feel like they have control over how they perform their jobs will naturally gravitate toward a system that plays on their strengths. 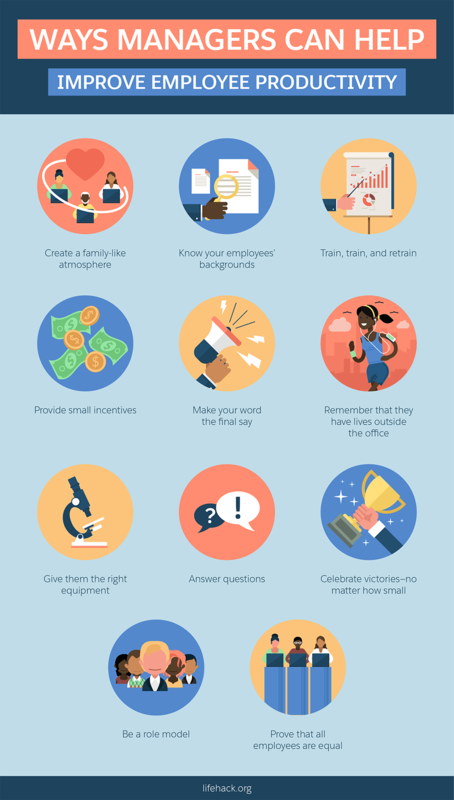 Empowering your employees like this will also encourage them to reach farther and perhaps give you results greater than you could ever realize. Consider, for example, that Tim is tasked with increasing online purchases. He is passionate about social media, but his manager insists he must write 10 blog posts a month. Tim hates writing blog posts so, unsurprisingly, he keeps finding excuses not to write them and ends up procrastinating, diving into internet rabbit holes, and basically doing anything other than working on those posts. Now, imagine that Tim was given only the goal to increase online purchases and free reign with how to accomplish that goal. Instead of spending hours avoiding writing low-quality blog posts, Tim jumps into social media, experimenting with cutting-edge campaigns that dramatically grow his company’s brand and sends whole new audiences to the website. Don’t pay lip service to autonomy. Live it. This may mean making dramatic changes to your workplace structure, like getting rid of regular office hours and revising how you set goals. It’s all well and good to expect great things from your employees, but the buck stops at your desk. As Paul John Sardoma explains for Lifehack, “A workforce will always mirror their immediate supervisors.” If you want your employees to be highly productive, you must model that behaviour every day in the office. You must show your passion for your company’s products and services and work just as hard, if not harder, than your team members. This also means showcasing a high level of integrity. If you cut corners, your employees will receive the implicit message that it’s okay for them to do so too. Being a role model means going beyond just setting a good example. It also means committing yourself to helping your teammates succeed. Mentor your less experienced employees, suggest new avenues for growth for experienced employees, and listen to their concerns and ideas with an open and receptive mind. Sometimes, all it takes for an employee to feel motivated is to know that their boss listens to their suggestions and concerns. If your employees feel like you are not invested in them, then there is no reason for them to feel invested in the company. When you consider the productivity of your workforce, it can be tempting to regard your employees in terms of numbers and statistics. Sure, it would be lovely to make X more widgets every hour, but in our modern, complex workplace, you can’t think of your employees as replaceable widgets (nor should you want to). Your employees are humans, which means that their motivation to put in a hard day’s work depends on a complex set of circumstances that can be influenced by things like whether they have the right equipment to succeed, clear goals to reach, a feeling of control over their careers, and belief that they work for a company that values them. As a manager, you must be committed to hiring great employees and then giving them the right tools, environment, mentorship, and examples to turn them into stars. At the same time, take care that the drive for results doesn’t exceed what your employees can reasonably handle. A focus on productivity must always be tempered with a commitment to integrity and support for your team.